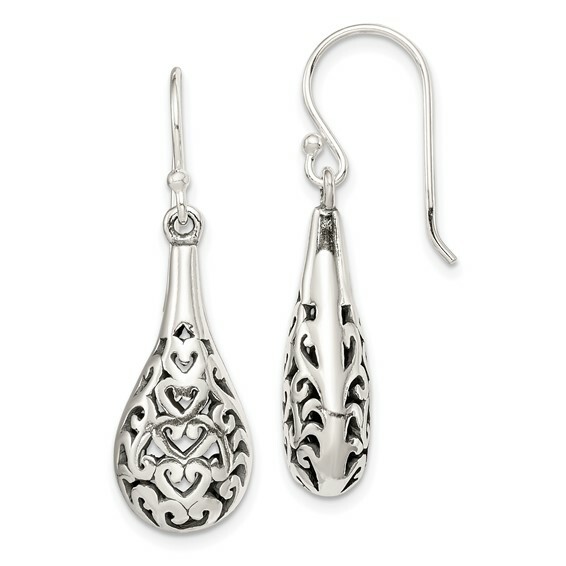 Sterling silver antiqued fancy cangle earrings have a tear drop shape. Three-dimensional. Entire earring measures 1 9/16 inches tall by 3/8 inches wide. Weight: 5.3 grams.